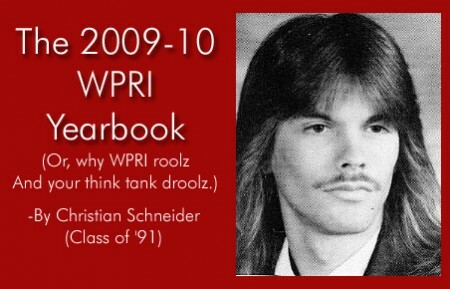 Yearbooks provide an important service. They allow us to prove that mullets were once an acceptable hairstyle. They make us feel as if we’ve matured since the days when we used Pink Floyd lyrics as our senior quotes. Their existence proves that shortly before I entered high school, my school actually had a “smoking court” where students were welcome to go choke down a heater between classes. Put a Face on Global Warming – Remember the days when people actually thought they could regulate the temperature of the globe based on one state’s manufacturing output? Boy, those were the days. Fortunately, we now know that government isn’t competent enough to plug a hole in the Gulf of Mexico, much less regulate the earth’s thermostat. In November of 2009, WPRI commissioned a study by the Beacon Hill Institute to study the effects of climate change legislation on Wisconsin’s economy. The report demonstrated that proposed global warming changes would have cost Wisconsin 43,093 private sector jobs and over $7.9 billion in real disposable income. In response to the report, the global warming bill’s authors re-named their bill the “Green Jobs” bill in order to counteract evidence that it would force the state to hemorrhage jobs. The semantic trick didn’t work, and the bill died in the Legislature. Soon thereafter, the lead proponent of the bill retired from the state Assembly. Beat the State to the Top – In May of 2009, WPRI researchers Mark C. Schug Ph.D. and M. Scott Niederjohn Ph.D criticized Wisconsin’s ridiculous law that forbid teachers to be evaluated based on their students’ test scores. Weeks later, President Obama’s education secretary, Arne Duncan, made eligibility for federal “race to the top” funds dependent on repeal of the law. Prior to applying for the federal funds, Wisconsin’s legislature held their nose and voted for the most watered-down law change imaginable. It allowed student test scores to be used in evaluating teachers, but only if the teachers’ union agreed to it. The feds picked up on the fact that Wisconsin had no serious interest in accountability, and denied the state’s request for funds. Keeping Communities Safe – As a cost saving measure in the 2009-11 state budget, Governor Doyle proposed letting some felons out of prison early. Of course, proponents of the plan deemed these freed inmates as “nonviolent.” But an ongoing WPRI report by former crime reporter Jessica McBride showed many of these inmates had violent pasts. In fact, some inmates were taken back into custody within weeks of being released. Soon after WPRI’s original report was posted, the issue became front page news at the Milwaukee Journal Sentinel. Following the WPRI report, gubernatorial candidate Tom Barrett distanced himself from Doyle’s plan, saying he had “serious reservations” about releasing inmates early. Saving Consumers at the Pump – In February of 2009, U.S. Eastern District Court Judge Rudolph Randa declared Wisconsin’s “minimum markup” law on gasoline to be an unconstitutional restraint on trade. Several months earlier, I had written a report demonstrating that the minimum markup law added around 30.2 cents per gallon to gasoline in Wisconsin. Shortly after Randa’s opinion was issued, a local Madison television station noted that the cost of gas in Wisconsin had dropped sharply. Looking Out for the Taxpayers – We continue to do the most detailed reporting in the state on issues of fiscal responsibility, debt, spending, and deficits. Furthermore, our reports on lavish pension benefits bestowed upon state employees have sparked a statewide conversation about whether government workers should contribute to their own retirement benefits. A great number of the issues raised by WPRI in our various fiscal reports are certain to become major issues in the 2010 gubernatorial race and legislative races. In addition to these achievments, WPRI continues to offer insightful commentaries, publishes an influential magazine with in-depth reporting, and brings the Wisconsin political world together via our “Tweet Wisconsin” website. We even have a little fun at our blog every now and then. Some day, we’ll look back at this yearbook and make fun of our clothes and hairstyles. 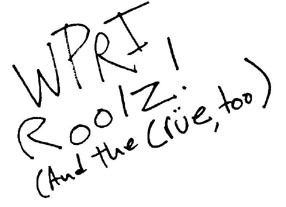 But we’ll also be able to say WPRI made a difference in Wisconsin in 2010. In the upcoming years, there will be plenty more where that came from. So have a rad summer! Maybe we can hang out at Orange Julius sometime. * – If we do end up sending thousands of jobs to China, I demand that Wisconsinites all get free General Tso’s chicken for life in return.